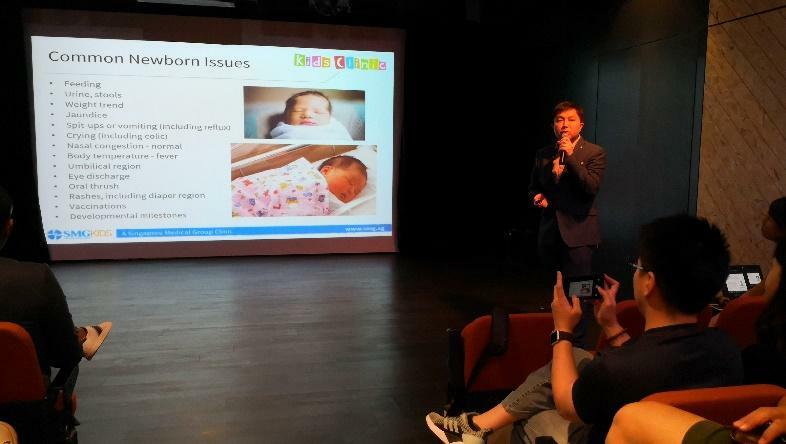 On 19 Jan 2019, Dr Dave Ong from Kids Clinic @ Punggol was one of the key speakers at The Big Pregnancy Countdown organised by SMG Women’s Health. He shared in detail on how first-time parents can care for their newborn and manage common newborn issues that may arise during the first few months of life. Some of these include jaundice, spit-ups, vomiting or reflux, colic, fever, ENT conditions, rashes and many more. For those who missed the session, here are some summary points. Be it breastfeeding or formula feeding, each has its pros and cons. Dr Ong took time to advise the expectant mothers not to stress themselves about having to provide enough breast milk for their child and that formula milk is a great alternative if their supply is low. How much to feed and how frequent to feed would depend on the child and parents can look out for signs on when to start or stop. To read more about feeding as your child grows, check out Health Topics A to Z: Feeding Progression. Babies cry over various reasons: hunger, thirst, pain, discomfort, which is generally no cause for alarm. In cases where crying is inconsolable despite being cared for and fed, and lasting for more than an hour, the child might have colic. The cause of colic is still unknown but there are several theories. To find out how to care for your baby if he/she has colic, visit Health Topics A to Z: Colic. Nasal congestion in newborns is normal, especially after feeding. However if it continues to persist and the baby starts having trouble breathing, it is time to visit a paediatrician who can use a special suction equipment to clear the congestion and relieve the symptoms. There are many types of rashes that could appear during infancy. Some common ones include erythema toxicum, neonatal acne, milia, cradle cap and diaper rash. Although some babies might develop more serious rashes, many of these are harmless and self-resolving. Dr Ong also gave his recommendations on the type of childhood vaccinations parents can consider for their newborn from 0 months to 2 years old. Vaccination type and schedule may vary from child to child depending on the child’s health and paediatrician’s advice. For more details on childhood vaccinations, kindly refer to Health Topics A to Z: Immunisation. 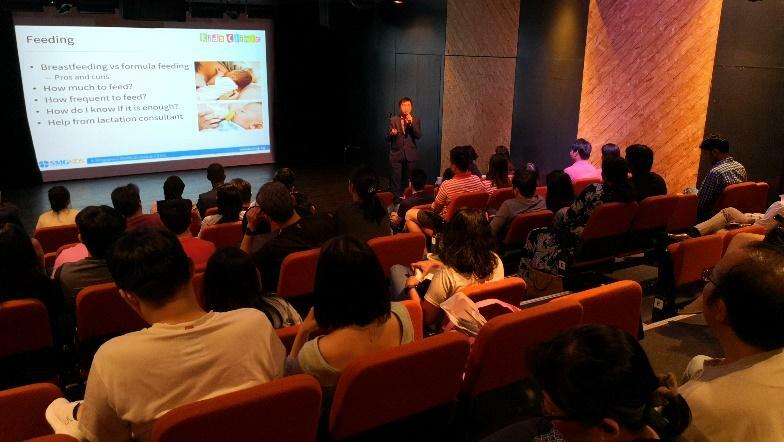 The session ended with Dr Ong sharing on developmental milestones and what to look out for during the newborn period leading up to the first month. Newborn babies are usually sleepy in the first few days after birth, gradually giving way to longer periods of alert wakefulness and physical activity. In the first month, the baby still sleeps most of the time when not being fed or handled and his head still tends to fall to one side when he is in a lying position. However, he will start moving his arms and legs in a jerky manner and usually becomes more active. At this stage, the baby will look at nearby faces with an increasingly alert expression during feeding and play, progressing to social smiles and responsive vocalisations at about 5-6 weeks. This is when they start melting the hearts of their parents and caretakers! Dr Dave Ong is an accredited paediatrician at Thomson Medical Centre, and expecting parents may request for him to be their attending paediatrician for their newborn’s assessment. His place of practice is at Kids Clinic @ Punggol, with Sunday and weekday evening appointments available.